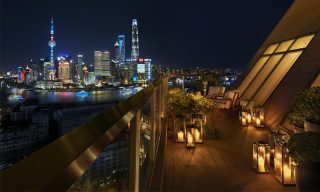 Expect 480 rejuvenated rooms and suites done up in a style that conveys contemporary Chinese elegance and supreme comfort. 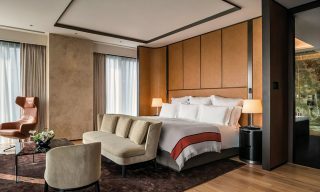 Following the first phase of the most substantial renovation in its 26-year history, Kempinski Hotel Beijing Lufthansa Center—a pioneer of European hospitality in China’s capital—has unveiled 480 rejuvenated rooms and suites done up in a style that conveys contemporary Chinese elegance and supreme comfort. 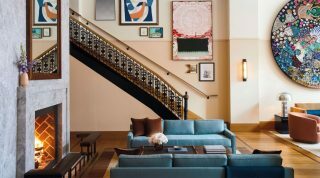 With an urbane sand-and-beige palette accented by Asian art pieces and colorful vases, the upgraded guest quarters also feature high-speed Wi-Fi and welcome amenities such as desserts made from seasonal fruits, macaroons, and mousse pralines. 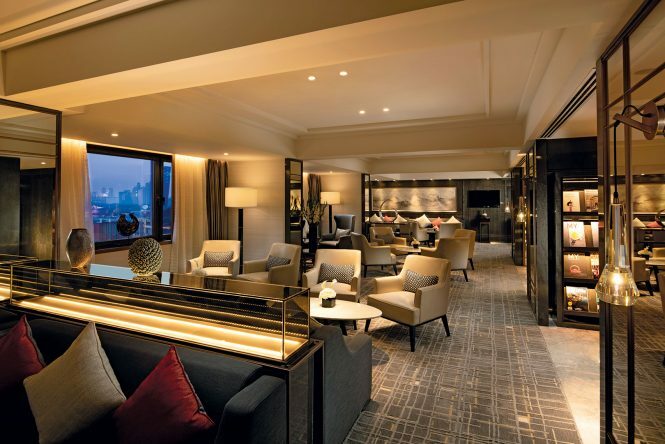 Executive Floor guests will also be able to experience the new executive lounge. 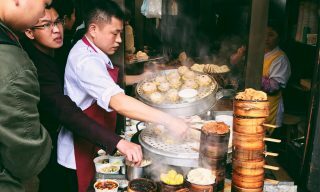 Perched on the hotel’s top floors with views over the Beijing skyline, the facility offers everything from a breakfast buffet to afternoon tea, happy hour, and a cook-to-order dinner experience. 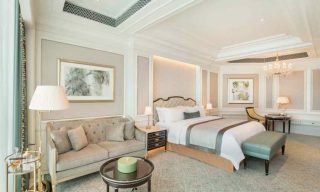 Executive privileges also include late checkout and round-the-clock access to a team of internationally trained butlers who ensure that one thing here hasn’t changed—the commitment to extra-personalized service. This article originally appeared in the February/March 2019 print issue of DestinAsian magazine (“Center Stage”).